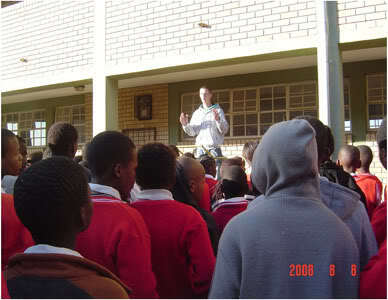 Abundant Life International Ministries (ALIM) conducted a crusade in Vanderlbijilpark and Bultefontein. The ministry team had eight members, and these were Pastor Ernest and Thelma Howie, Pastor Ernie and Faye Clifford, Nathaniel Whiteman, Mrs. Dora Nyathela, Pastor John Paul and John Faith. The time of ministry was divided into two phases. The ministry team was at Vanderlbijilpark, in Johannesburg from 2nd to 4th of August. Activities carried out during this time included outreaches to Prison, Hospice, street preaching and revival meetings. The team left for Bultefontein in the Free State where they held crusades, Pastors and leaders conference and witnessed in the township through visitations to schools, centers for the disabled, Homes for the Elderly and street preaching. God honoured His Word during this ministry. 2996 people escaped hell fire by making a decision to make Jesus Christ the Saviour and Lord of their lives. Many were healed from various ailments and were delivered from various oppressions that the devil had inflicted on them. The first day of the ministry team in Vanderlbijilpark, was exciting. The team had a meeting with Pastor Ernest Mashaba to sort out issues on donations to the Hospice in the days to come and Bibles for the Prison. The team filled with the “Joy of the Lord” launched their first activity at Vanderlbijilpark Township through street preaching. The meeting was attended mostly by people who were already born again and the service turned out to be an open air revival meeting. Many people were prayed for and were set fee in the name of Jesus Christ. 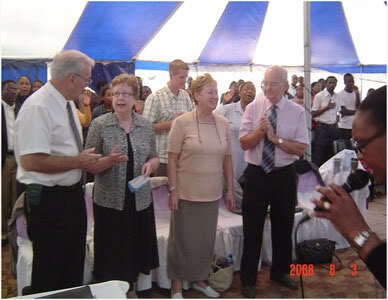 Later in the day, the team started revival meetings at Oasis of Praise Bible Church. 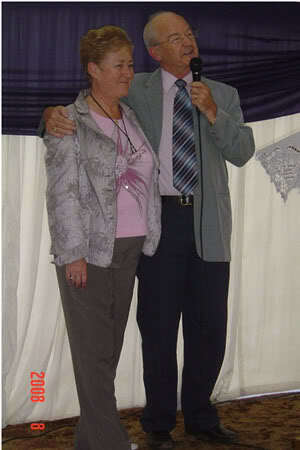 At Vanderlbijilpark, revival meetings were held at Oasis of Praise Bible Church for three days. In these meetings, Pastor Ernest gave a series of teachings aimed at restoring the church’s total commitment to the Lord Jesus and to walk in the Spirit so that we do not satisfy the lust of the sinful nature. The believers were prayed for and many acquired the fire and were baptized in the Holy Spirit. The testimony from Prophetess Rebecca Mashaba is that the church is now on fire for God. On Sunday the 3rd, the team went for ministry in different Churches and the Spirit of God moved mightily and many were baptized in the Holy Spirit. The team had an outreach in the prison. The reason the prison was chosen for ministry was to share the love of Jesus Christ with the ignored and isolated people of the community. During the visitation, 65 prisoners accepted Jesus as the Lord and Saviour of their lives. They filled the decision forms and handed them over to Pastor Mashaba for purposes of follow-up. Out of the 65 inmates, 12 are to finish their time of sentence by the end of September 2008. All the inmates who attended the service were given Bibles as the Spiritual food for their inner man. The ministry yielded great results with the assurance of continuity as Pastor Mashaba and a team from his church fixed another appointment for subsequent visitations. The ministry team visited the hospice. 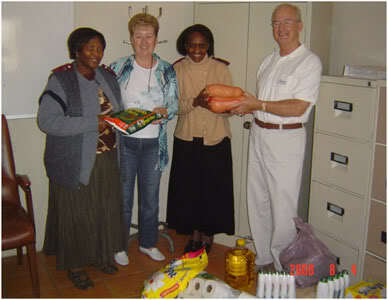 During the visitation, the team prayed for the sick, and donated a number of supplies to the patients. The supplies included napkins, foodstuffs, soaps and toilet tissues. These were received by the Sister in charge of the hospice who gave thanks to God for the supplies. She confessed that since the month had ended, they were looking everywhere to find some food and other requirements to run the medical unit, and the supplies were timely and an answer to prayer. In the hospice ministry, one person accepted Jesus Christ as his personal Lord and Saviour. 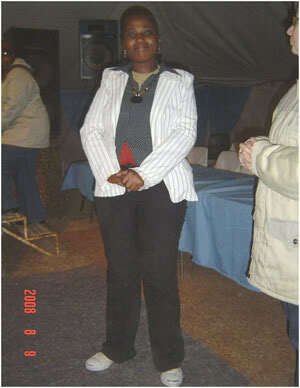 The crusade took place from 5th to 9th of August in Bultfontein. The crusade was held in a large tent with an estimated attendance of 2000 people per night. The meetings flowed Spiritually amidst the local South African Praise and worship tunes and Jehovah God honoured the gathering with His Mighty Presence. 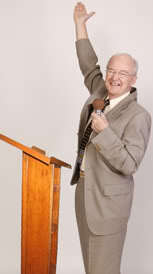 God gracefully anointed his servant, Pastor Ernest who preached with power and compassion. Over 1,500 people become born again Christians and many were healed from different ailments. During the crusade, the praise team was very enthusiastic and as the crowds lifted their voice in praise and worship, the glory of God came down in the tent where the meetings were held and many were set free. Prayer was a vital component during the crusade. Many people came forward from the crowd and were prayed for to receive healing and deliverance. Many miracles happened during the crusade and more so when Pastor Ernest started to break the powers of the enemy among the people, their families and over the township. A woman, Jane Mgaya Finliwe, who had a large swelling on her neck, came forward and when Pastor Ernest laid his hands on her and prayed, the swelling disappeared instantly and the pains stopped. She testified, in tears, about the faithfulness of God in bringing healing to her body. A man who was losing his sight and with frequent headaches received his deliverance and praised the Lord for the healing he received. The miracles confirmed God’s presence in the tent of meeting and pointed many to Jesus Christ. The ministry team carried out street evangelism. The ministry team went out on the streets on two separate occasions to preach the gospel. The street preaching sessions were strategically organized in conjunction with the local pastors at locations where churches existed. During these meetings, many people received healing and deliverance as the team prayed with them. 50 people gave their lives to Jesus Christ and were reconciled with our Father in heaven. Those who receive Jesus as Lord and Saviour filled decision cards. These cards were given to the local pastors for them to follow-up on these new Christians and nurture them and teach them in the faith. The conference was organized for Pastors and Leaders in Bultfontein. This started on the 5th to the 8th of August. The conference was to help the church leaders and Pastors to know their position in the Kingdom of God as well as the ability to assert their authority against the works of the enemy and prepare them for the Harvest which God gave. 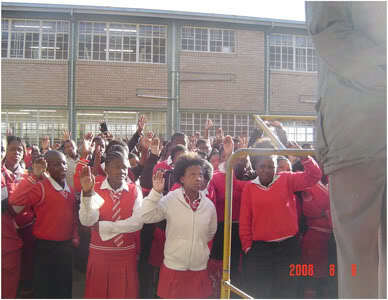 The ministry team ministered in 2 secondary schools and four primary schools. 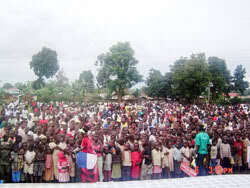 The activities in schools included praise and worship, testimonies and a message from one of the team members. Over 1600 students gave their lives to Jesus Christ and purposed to walk with Jesus. Students responding to the message and saying “Yes to Jesus”. Over 600 decision cards were filled in this school. In spite of adverse conditions of extreme cold at night, mold conditions in the hotel, and a very dusty atmosphere the team were enabled by the Lord to fulfill all their commitments. The team had to purchase heaters for the hotel rooms, as there was no heating in the building. 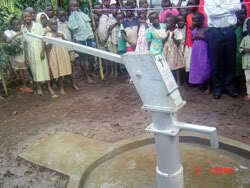 They were able to bless some of the new born again Christians with the heaters, at the end of the crusade. There was great rejoicing in the hotel on the last evening after the cook who had prepared all the meals for the team, came to the crusade and accepted Jesus as her Saviour.